I'm not a big fan of golf. I've watched Happy Gilmor with Adam Sandler and really liked it, but unfortunately golf just isn't the same as its portrayed in the movie. What's worse, you can't train at the mini putt with the laughing clown face. Obviously I have no experience with the sport and to only until recently used to confuse Jack Nicholson and Jack Nicklaus. 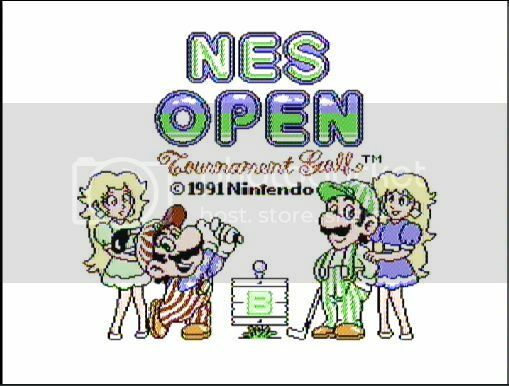 Well, today I decided to put all that behind me and have a go at NES Open Tournament Golf. A plumber who's off to hit the links? What could go wrong? If Fleach is on the sticks, the possibilities are endless.